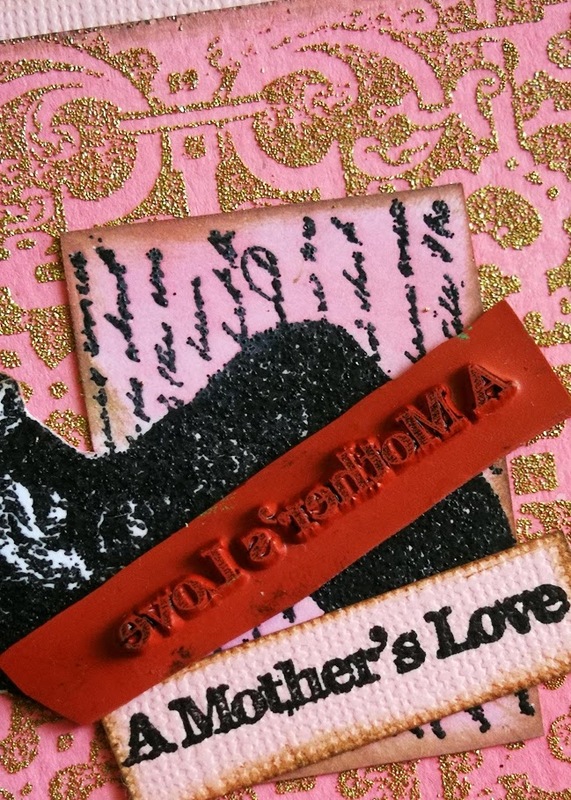 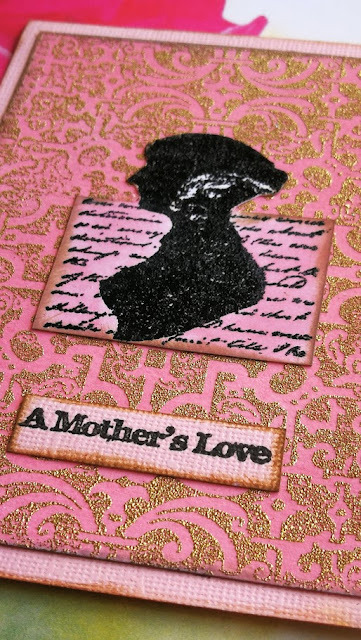 Marie-Christine with you today with a Mother's Day card theme, and embossing technique! 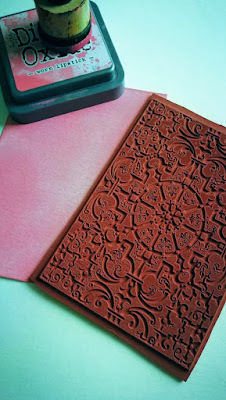 Apply some Pink Distress Oxide on watercolor paper. 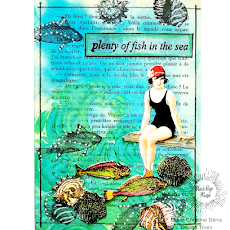 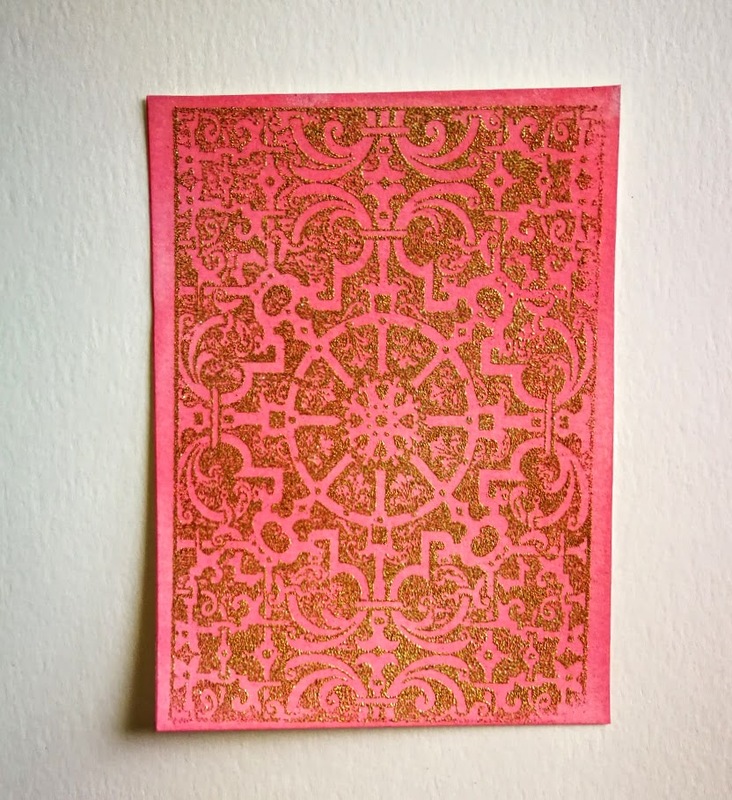 Use this beautiful stamp background with Gold Embossing Powder. 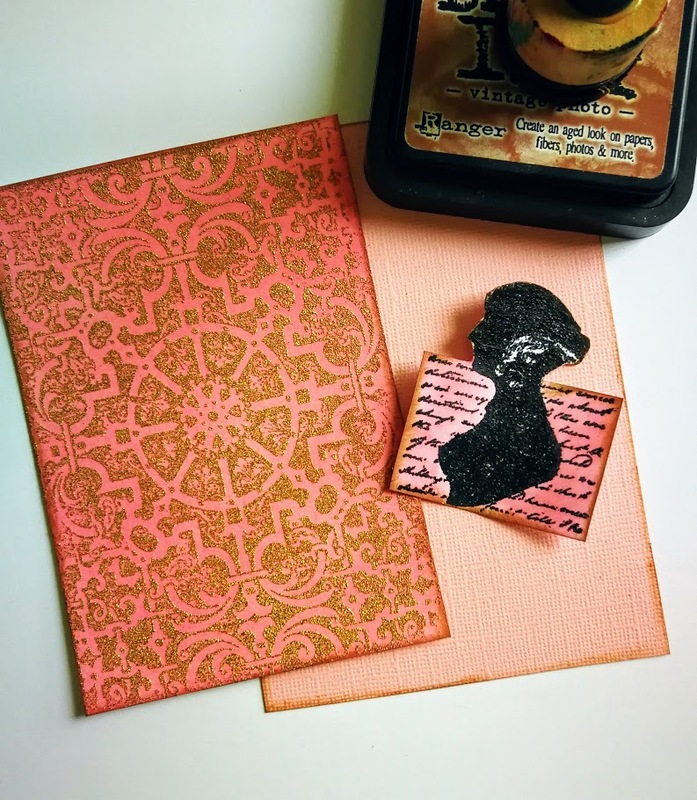 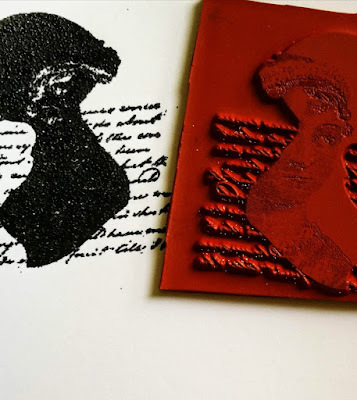 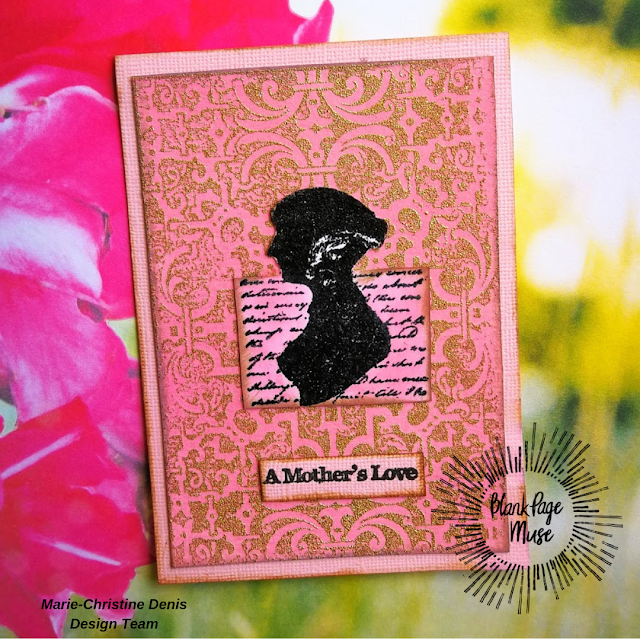 Stamp the silhouette on a watercolor paper and Black Embossing Powder. Stamp the title on a piece of pink cardstock. Put some vintage Distress Oxide on the edges. 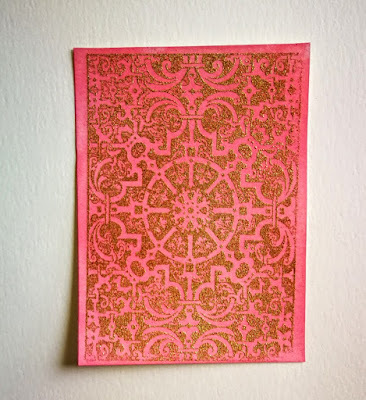 Cut a rectangle of pink cardsock and adhere your card on it.